Starkey Hearing Technologies has reinvented both the hearing experience and the hearing aid with Livio AI. Livio AI is the world's first Healthable hearing aid to utilize integrated sensors and artificial intelligence and the first device to track physical activity and cognitive health as measured by hearing aid use in social situations. 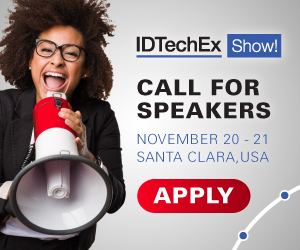 For more information see the IDTechEx reports on Digital Health 2018 and Wearable Sensors 2018-2028. The launch also includes a brand-new mobile app—Thrive Hearing; and three new wireless accessories—the Starkey Hearing Technologies TV, the Remote, and the Remote Microphone +. With the Remote Micorophone+, Livio AI is also the first hearing aid to feature Amazon® Alexa connectivity. "First and foremost, Livio AI is the best performing and best sounding hearing aid we have ever made. What makes today a pivotal moment in the hearing industry, is that with Livio AI, we have transformed a single-use device into the world's first multi-purpose hearing aid, a Healthable with integrated sensors and artificial intelligence. Livio AI is so much more than just a hearing aid, it is a gateway to better health and wellness," Starkey Hearing Technologies President Brandon Sawalich said. The new Hearing Reality technology provides an average 50-percent reduction in noisy environments, significant reduced listening effort, and newly enhanced clarity of speech, while the use of artificial intelligence and integrated sensors enabled it to optimize the hearing experience. Livio AI has revolutioned what "hearing better" means. Designed to help users live their healthiest life, Livio AI is available as a RIC 312 and BTE 13 in a variety of colors. In addition to the above unique features, Livio AI also includes Starkey's best-in-class feedback cancellation, high-definition music prescription, advanced Multiflex Tinnitus Technology and Surface NanoShield pioneering water, wax and moisture repellant system to protect and ensure durability and dependability. "Artificial intelligence, coupled with advanced sensing devices, is rapidly changing the world around us," Starkey Hearing Technologies Chief Technology Officer and Executive Vice President of Engineering Dr. Achin Bhowmik said. "We are proud to introduce these transformational technologies into the world of hearing aids to both optimize the users' hearing experiences and enable them to continuously monitor and improve their overall health besides treating hearing loss, reducing the associated risks of dementia, anxiety and social isolation." The integrated 3D motion sensors inside Livio AI enable the hearing aids to detect movement, track activities, and recognize gestures. The hearing aids communicate with each other and compatible mobile accessories to deliver meaningful, real-time feedback about users' overall body and cognitive health and fitness. This cutting-edge technology allows people to take a proactive and personal approach to treating hearing loss, which has been linked to various health issues including dementia, cognitive decline, anxiety, stress, social isolation and an increased risk of falling. Livio AI is available in the United States and Canada at this time, with a global roll out to more than 20 countries in 2019.